Category: Breakfast, Thoughts From Fit Paleo Mom. We finally made it home from our trip to Disney World. It was a blast, but I'm glad we are home. I am ready for some home cooked meals. Since fall is headed our way I have so many ideas running through my head of things to make that I love to eat when the weather isn't so hot. I'm definitely thinking chili, vegetable soup, and something sweet made with pumpkin. Those will definitely be coming soon. Mix all ingredients in a bowl. Pour about 1/4 cup onto greased skillet and cook on both sides until done. makes about 4-6 pancakes depending on how big you want them. 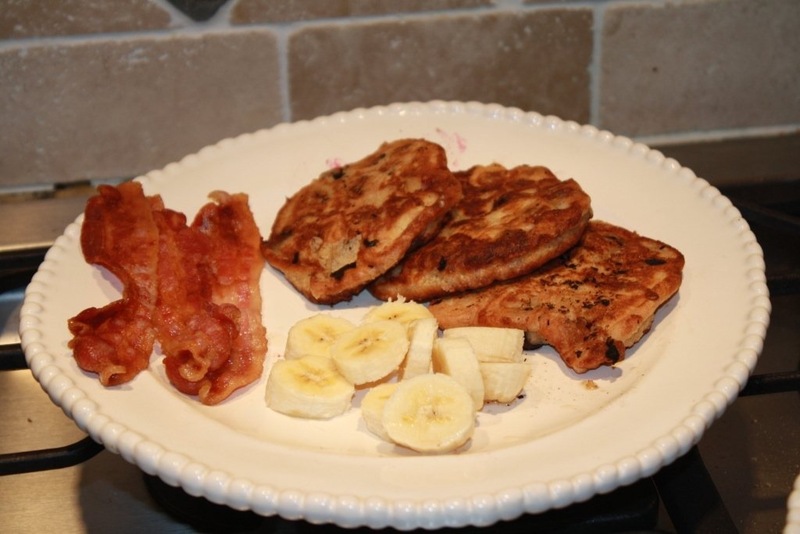 This entry was posted in Breakfast, Thoughts From Fit Paleo Mom. Bookmark the permalink.